"I have known Karen for quite some time now. She helped me negotiate and purchase my first home over 11 yrs ago! 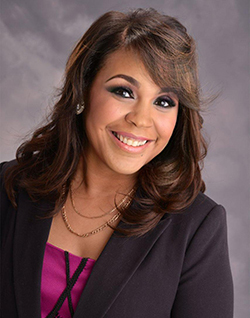 Her professionalism and knowledge of the city, homes, and mortgage programs helped me tremendously. I was 21 yrs old, a new mom, and planning a wedding! Needless to say, it was a no-brainer to work with her again 11 yrs later. I have worked with another realtor, through refferral, but I decided to come back to Karen. She immediately returned my phone call, and within our first conversation, she enlightened me about so many programs available to me. She had listings sent to me that night! Overall, I am thrilled to be working with her again and I will continuously reccommend her to my family and friends, and anyone I know who is in need of a great realtor! Thanks, Karen for exceptional service throughout the years!!" "Karen Walls is an excellent real estate agent. She is very thorough in sharing all processes and procedures dealing with selling and buying property. She listens to your concerns and will address them in a timely fashion. She shows a great of deal ingenuity when it comes to showing your home. I find that she is very knowledgeable about all phases of selling and buying property. Karen has a tenacity that is comforting to a seller in this sluggish housing market. I would recommend Karen to anybody who seriously wants a hard working and forth right agent." "Karen was an absolute joy to work with as an agent. I can't believe the amount of time and effort she dedicated to helping me with the sale of my home. Her wealth of knowledge and patience with the lenders is unbelievable. Karen Walls is an amazing agent, who can only be described as a highly educated professional property specialist." "If you are looking for a Realtor that is knowledgeable, caring, compassionate, skilled, and experienced in all areas of of the housing market, you need and want Karen Walls. She has listed a home, sold a home, and rented a home for me. She has the Walls you can trust!!" "Karen became our buyer’s agent and then some! Her patience in helping us look for a new home was priceless. She even helped us navigate the challenges of difficult sellers’ market for my parents’ home. Anyone looking for a knowledgeable, caring and patient realtor I’d recommend Karen Walls hands down!"